With Los Angeles as its muse and endless backdrop, the Genesis Open has reimagined the traditional golf tournament for almost a century. 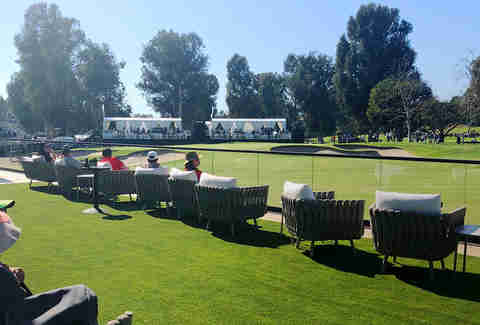 Sure, it’s regarded in the golf world as Tiger Woods’s first ever PGA Tour event and Jack Nicklaus’s professional debut, but the Genesis Open’s focus on the guest experience also makes it a star-studded party that gathers some of the best dining options in the region. 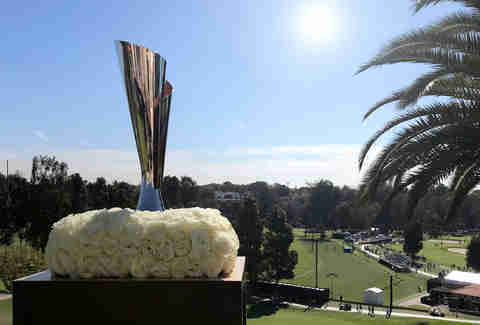 The 2019 tournament, held February 11-17, mingles Hollywood elite with golf idols at the glamourous Riviera Country Club… and you’re at the center of it all. 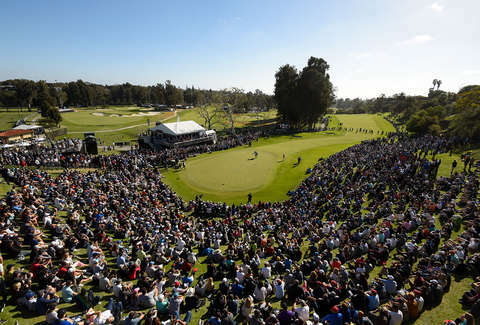 Whether you’re just kicking back for a day or in it for the long haul to watch Bubba Watson defend his third title, here’s what to know about the golf tournament beloved by both the pros and those who enjoy a perfect bash like only LA can do. Golf fanatic or not, you’ll find yourself cheering with the rest of the crowd along the back nine. The Genesis Open is significant for its tight competition, ending in eight playoffs since 1998. The tournament is designed so guests are on top of the action, with rope lines spanning nearly the full length of all 18 holes. So snagging a high-five or picking up on candid conversations between golfers and their caddies is -- ahem -- par for the course. Plus, curating your own experience is heavily encouraged with five different ticket packages to choose from -- ranging from $20 grounds tickets to all-inclusive experiences on the 18th hole. 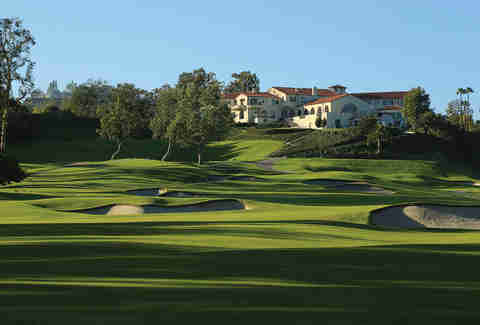 For players and spectators, The Riviera Country Club is total golf heaven. Opened nearly a century ago, the grounds’ vistas and the clubhouse’s old Spanish revival glamour are a scenic catnip for movie, sport, and architecture buffs. The relentless challenge of this course, aided by its stunning beauty, makes it a PGA Tour player favorite. The Genesis Open is focused on showing fans the same intensity the pros savor. If you’re looking to snap some Insta-worthy photos, there are incredible views from the comfort of the Riviera Clubhouse. And with public grandstands at the driving range, 9th, 10th, 13th, and 14th holes, you’re so close, you might even feel some of the same pre-swing jitters as the pros. And those jitters run high at 14, where golfers stand to win a Genesis vehicle if they ace the hole. All guests are welcome to enjoy the modern amenities at the Genesis Lounge while waiting to see if their favorite player is going to drive home in a new Genesis G70. Running into Adam Sandler is cool, but roaming the same grounds that Walt Disney, Humphrey Bogart, and Mary Pickford once strode as longtime members is pure Hollywood magic. Beyond golf’s brightest stars in attendance, the tournament’s home in the entertainment capital of the world attracts names you might only see engraved on the Walk of Fame. The best part is that no matter which ticket package you choose, the chance to spot Hollywood elite is part of the entire Genesis Open experience. Just try not to get starstruck if you run into Larry David, Reggie Bush, or Mark Wahlberg. There’s a watering hole for every kind of schmoozer at the Genesis Open. If you want to add a few big names to your checklist of golfers you’ve seen in the flesh, head to the ULTRA Club, one of the favorite areas for the public to watch the pros roll through. On 10 green, the vineyard vines club offers a relaxed atmosphere on an elevated deck with Adirondack chairs, signature drinks, and snacks like popcorn shrimp and garlic fries. When you’re ready to turn it up a few notches, there’s always a constant party to celebrate the end of the journey thanks to the GREY GOOSE 19th hole. And don’t forget to take your after-party to The Promenade, where LA’s top gourmet food trucks call home for the tournament, including Cousins Maine Lobster, Pink Taco, WISE BBQ, Deli Doctor, Made in Brooklyn, and Coolhaus. Beyond the ticket packages, there are also two shared and four private hospitality packages available as upgrades if you want to make the tournament experience even more memorable. Get a 20-person crew and make your golf fantasy on The Bluffs at the 14th hole or The Backlot on the 18th a reality. The all-inclusive food and drink menu is drool-worthy, but the unmatched views of the Santa Monica Bay and Tiger are why you’re really there. But as a guest, the Genesis Open is all about making you feel close to the pros you’re watching. Fans can even get a putting lesson from a PGA tour pro. Hey, It wouldn’t be LA unless you felt like a celebrity at least once.